What's black and white and classy all over? 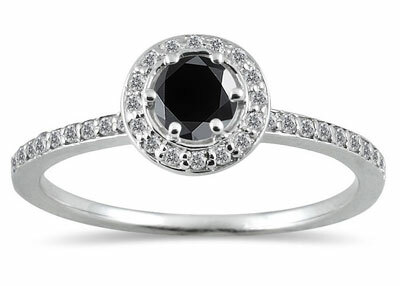 This 1/2 Carat Black and White Diamond Ring in 14K White Gold! 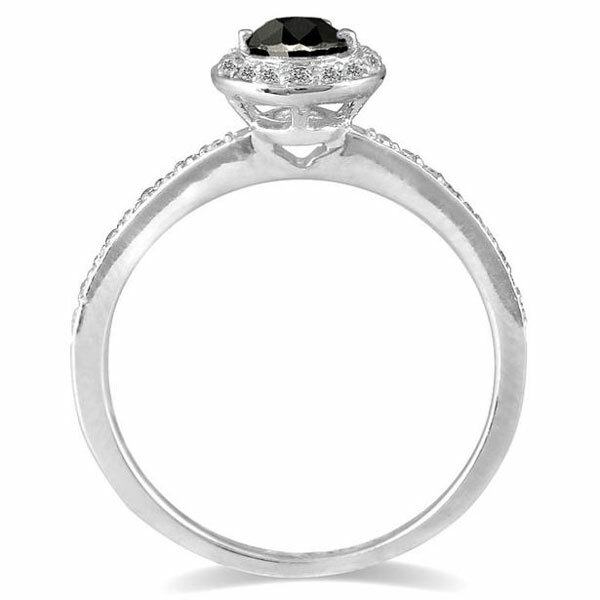 This chic style surrounds a round quarter-carat black diamond with a halo of smaller white diamonds, creating a frame of sparkle. Additional white diamonds stud the band for a total of 34 of these stones, and a half carat of diamonds for the ring as a whole. A base of 14K white gold provides the perfect backdrop for this eye-catching accent. 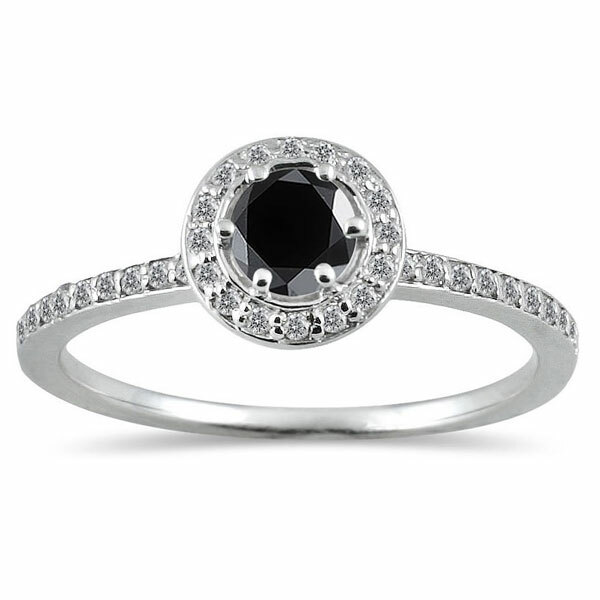 We guarantee our 1/2 Carat Halo Black and White Diamond Ring in 14K White Gold to be high quality, authentic jewelry, as described above.